The Badminton World Championships took place between 21-27 August 2017. 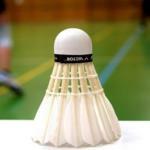 Having progressed through the quarter-finals it turned out to be a disappointing end for England’s mixed doubles Badminton players Chris and Gabby Adcock. They lost their semi-final playing against the current number one pairing of Zheng Siwei and Chen Qingchen of China. They were beaten in two games 15-21, 21-23 with the last game a rather tense affair. The match took place in front of a (sort of) home crowd in Glasgow and the disappointment on Chris and Gabby Adcock’s faces was clear to see. However despite the loss they still picked up a bronze medal which comes as a much needed boast to GB Badminton following several cuts to their budget. So despite the Adcocks semi-final heartbreak it proves British Badminton is still producing talented players. Having never previously beaten the Chinese pairing of Zheng Siwei and Chen Qingchen it was always going to be a tough ask. They found it hard going at the start as the Chinese threatened to sweep them aside. The Adcock’s however have become much more mentally resilient and refused to roll over. They had to dig deep to get back into the match, at one point saving three match points before losing out on the fourth. That slow start may well have just proved a little too much to come back from against the best mixed doubles paring in the world. Gabby Adcock summed up the night by saying “We didn’t bring our level and we didn’t bring our style. It’s frustrating because we’ve been playing well all week. They come away with that bronze medal and fourth place in the World Rankings . Elsewhere the top ranked English man at (23) Rajiv Ouseph had the slightly daunting task of playing one the sport’s top players Lin Dan of China. Unfortunately there was no fairytale ending as Lin Dan eased through to the quarter-finals. Turning to Scotland’s Kirsty Gilmour, she managed to reach the quarter-final in the women’s singles. She went out in three games to India’s Saina Nehwal, 19-21, 21-18, 15-21. Kirsty Gilmour ends the month of August ranked in 22nd place. Not only is she Scotland’s top ranked singles player but also the top British one as well. Switching focus to the men’s doubles and the top ranked English pair of Chris Langridge and Marcus Ellis went out in the last 16. They were playing South Korea’s Chung Eui Seok and Kim DukYoung losing 16-21, 21-18, 15-21. The pair left frustrated knowing it was a great opportunity missed. In fact the English pair are ranked a fair bit higher in the world ranking at 24 compared to their opponents 39. That about wraps up the British interests in the World Championships. On the whole it’s been a good showing with plenty of signs to be optimistic about.